So both the top and skirt were purchased at the beginning of summer and just now I finally had a chance to wear them. That also means that they are on super sale for you if you want to purchase! I mean everything in this look is pretty much on sale, the shoes are only $19 and they come in a bunch of other colors and patterns. You could wear this tan pair or the black color into the Fall! Also, I have noticed stores are starting to put out a lot more of their Fall clothing which is really exciting! I bought a few things (here, here & here) that are making me so excited! Let me know what your favorite stores are to shop at for Fall items! I am loving this top on you!! how cute is that top! i love anything striped! Such a good color combo! Love all these classic pieces put together! These classics are totally calling my name! 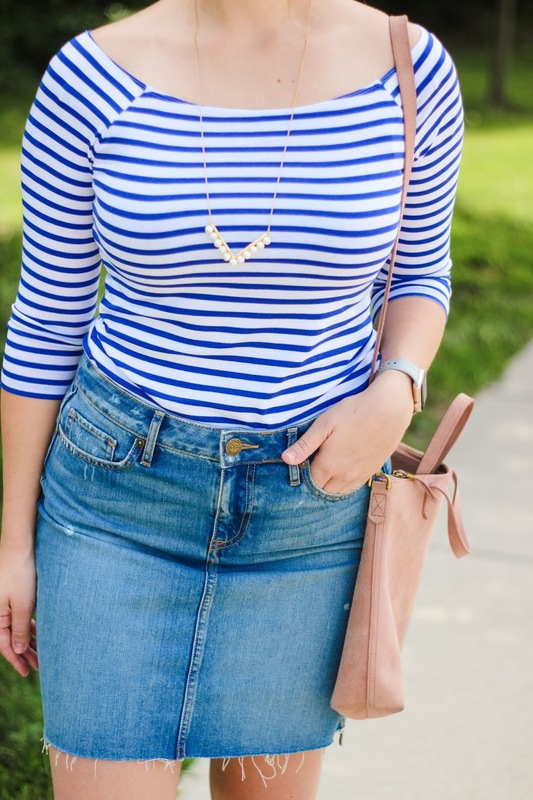 I love the boat-neck style of the striped top, and you can never go wrong with a denim skirt. So cute! I love love love this look! The denim skirt is so cute! I love the different hemlines! I'm all about the denim skirt lately! 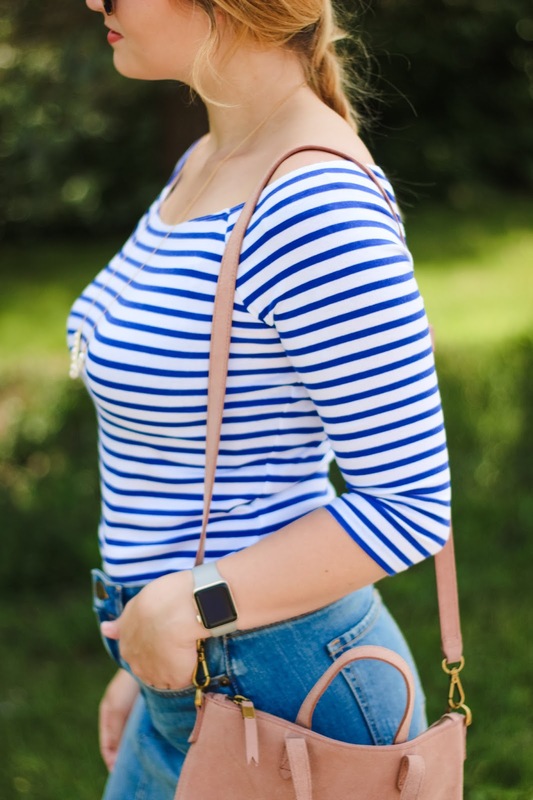 You can't go wrong with a good striped top!